The multidisciplinary and collaborative nature of Maurice Wilkins Centre research provides an excellent training environment for the young scientists and students who are our future science leaders. Emerging scientists like these are invited to join the Centre as affiliate investigators. The Early Career Steering Committee was set up with the aim of supporting and facilitating the ongoing career development of early career researchers within the MWC. The Committee's goal is to help EC researchers develop and succeed within the MWC through organising events and providing opportunities for EC researchers to get together, discuss their work and build collaborative networks across New Zealand. In 2018, the committee organised a Microscopy and Imaging Techniques workshop, a Flow Cytometry workshop, and the annual Future Science Day (see story below). In 2019, the committee helped facilitate a Commercialisation workshop, introducing EC researchers to commercial pathways from an academic setting. The Centre’s Flexible Research Seeding Programme, available to its investigators, helps seed ground-breaking early-stage projects that are collaborative, multidisciplinary and develop new lines of research. The aim is to spark new projects that will grow into highly innovative and sustainable research programmes. Over the last five years the scheme has supported more than 160 projects involving investigators around the country. The MWC provides funding support for investigators to access specialised training and facilities both nationally and internationally. 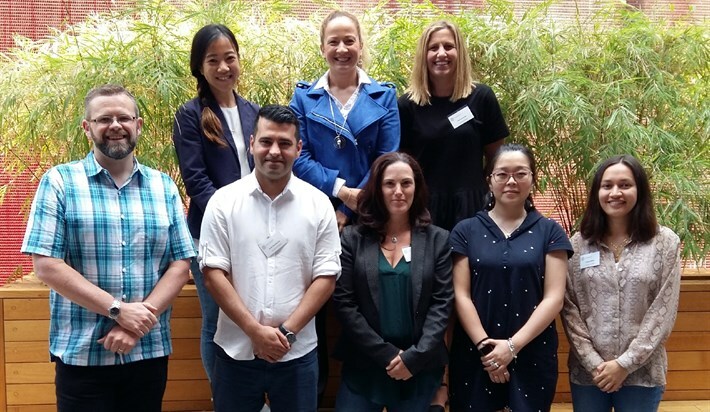 This support is targeted primarily at early career investigators and to date 29 investigators have travelled to workshops and laboratories to train in cutting-edge technology. In 2018, affiliate investigators Stewart Masson and EJ Loef used support from this scheme to travel to Monash University’s Biomedicine Discovery Institute and to a MDI Quantitative fluorescence microscopy course in the USA. See here for stories from other MWC ivnestigators who have accessed this support. The Centre’s annual Future Science Day, initiated in 2010, promotes networking and interdisciplinary understanding, and provides career advice for young scientists who are part of its network. The most recent event, in late 2018 gave selected emerging scientists the opportunity to present their research, network and get expert technical advice on issues related to their work. They also ran the very successful poster session on the Thursday evening when 50 posters of very high quality were presented. The annual MWC Future Science Day is organised by the centre's Early Career Steering Committee. Image: The MWC Early Career Steering Committee at the end of 2018. Back row l-r: Catherine Tsai , Marina Rajic, Joanna Hicks (Chair). Front row, l-r: Euan Roger, Iman Kavianinia, Kate Lee, Wanting Jiao, Indigo Matisi. Absent: Sunali Mehta.